A ripple of change is moving across the country, as this year major cities — including Los Angeles and Cincinnati — have elected to stop observing Columbus Day in favor of honoring the original inhabitants of Turtle Island. Monday, October 8, marks Indigenous Peoples’ Day, a holiday that has been adopted by entire states including Minnesota, Alaska, Vermont and Oregon. As much of the country abandons Columbus Day, a relic of painful and misconstrued history, and shifts to embrace indigenous pride, Native Business Magazine™ is taking the opportunity to honor “disruptors,” who we define as people or businesses “stirring things up.” We’re shining a light on Native entrepreneurs and tribal businesses that have fought against the grain to topple outdated systems, empower Indian Country, and reclaim our inherent strength and self-sufficiency. 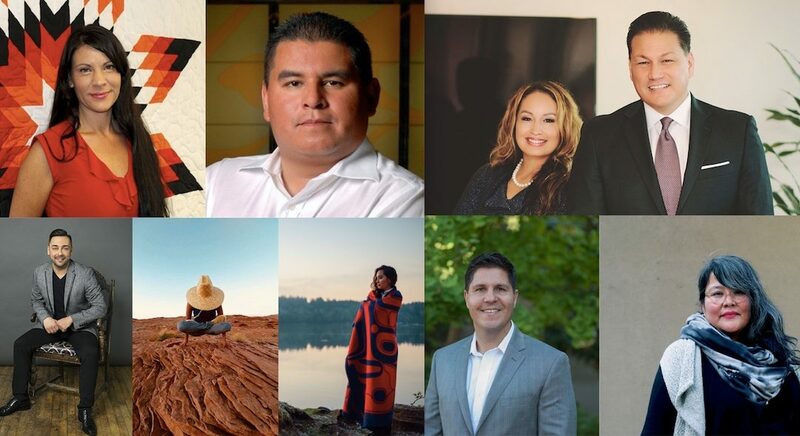 These disruptors span sectors of business and represent only a small snapshot, a tiny fraction of the disruptive efforts by Native peoples and businesses to drive positive change. Gabe Galanda isn’t sticking to his lane. He’s leveraging his position, partner at his law firm Galanda Broadman, to sound a horn about the need for tribes to diversify beyond gaming. He’s been published more than 100 times and quoted by numerous media outlets including The New York Times, The Wall Street Journal, The Guardian, and Le Monde. Unlike gaming, there is no other industry that can be a panacea for Tribes’ economic needs. Some Tribes may thus find the answers in industries like renewable energy or fossil fuel development. Others may find that hospitality or technology make the most sense. The important thing, though, is that Tribes should start taking an inventory of their assets, including physical capital, human capital, land, and resources. “They have to do that inventory and think beyond their current cash flow,” he said. The Tanka Fund is a national campaign to return buffalo to the land, diets and economies of American Indian people. For Karlene Hunter, a member of the Oglala Lakota Nation, entrepreneurship is an avenue to empower tribes and Natives to enter the modern-day buffalo market. “The last time we had a functioning economy, it was a buffalo economy,” said Hunter, who co-founded Native American Natural Foods in 2007. Native American Natural Foods’ nonprofit arm, Tanka Fund, has once again made buffalo production a viable revenue stream for people on Native lands, providing more than $70,000 in grants to Native buffalo producers since launching its grantmaking program in 2016. “It’s very hard to get financial backing [for buffalo production] when you live on Native land, because you’re going up against three different regulation sources: the federal, state and tribe,” Hunter told Native Business Magazine. Not only does Sean McCabe, founder of McCabe CPA Group, practice Native hiring preference within his own full-service accounting firm. (At one point, his firm was comprised of 100 percent Native professionals. Today, that number is at 85 percent, with all but one person having a Native background.) He’s also challenging tribal and Native businesses to hire indigenous professionals. McCabe wants Indian Country to recognize that Native professionals are out there and can perform the work that tribes and businesses need — whether it’s providing audit and accounting services, consulting or insurance. First Nations Oweesta Corporation, the only Native CDFI intermediary, is helping to make long-term, lower-cost capital available to Native entrepreneurs and businesses. This summer, Oweesta created the first-of-its-kind capital pool for Native Community Development Financial Institutions (CDFIs). “We’re going to see a phenomenal increase in economic development activities, and it will affect thousands of tribal members throughout the nation,” said Chrystel Cornelius (Ojibwe; Oneida), Oweesta’s Executive Director. Oweesta garnered a mixed and diversified set of financing for the $10 million pool to be distributed across 13 Native CDFIs. “Our more tenured [Native CDFI] organizations have really built up the economic fabric within their respective tribal communities, and tribal members have increased their appetites to expand their personal assets,” Cornelius said. “Our success has come while subtly giving the middle finger to large brands with a tradition of selling fake Native art, and an outdated gallery system that has not made much of a difference for Native artists,” Gong said. In addition to raising awareness about cultural imposters, Gong’s company creates avenues for indigenous artist entrepreneurs to assert autonomy of their personal brands, and economic sovereignty over their art. For instance, Eighth Generation’s Inspired Natives project helps indigenous artists design logos, create business entities and launch e-commerce websites. “In many ways, we are the antithesis of the typical gallery system, where people are inserting themselves between the talent and the consumers,” Gong said. Rather, Eighth Generation gives Native artists direct access to buyers. “I believe that’s the true pathway to sustainability,” Gong noted. Haley Laughter, Navajo, launched Hozho Total Wellness in 2015 to help Natives release stress and historical trauma through yoga, a practice intended to heal the mind, body and spirit. Today, she travels to host energizing yoga classes and stretching / movement breaks at business conferences across Indian Country. Laughter’s indigenous approach to yoga incorporates the four elements: fire, air, water and Mother Earth. Hozho Total Wellness is hosting its first Indigenous Yoga 200-Hour Teacher Training (in collaboration with Kiva Yoga) this month. The Quapaw tribal member who started RWI Benefits in 2007 is thinking big when it comes to the future of American Indian health insurance. He envisions regional and national associations of tribes and Native businesses banding together to save 15-20 percent of health costs. The vehicle he sees is a federal program called Association Health Plans (AHP) — not a new program, but the Department of Labor recently issued new regulations that make it easier for associations of like communities to band together for better pricing. Tribes are already communities that have banded together, and Native businesses can easily create associations as well. The associations will follow what Weaver calls “the golden rule of insurance”—the economies of scale that can be achieved by larger groups of insureds. “The more people on a plan, the more doctors and pharmacies will negotiate with you,” he says. 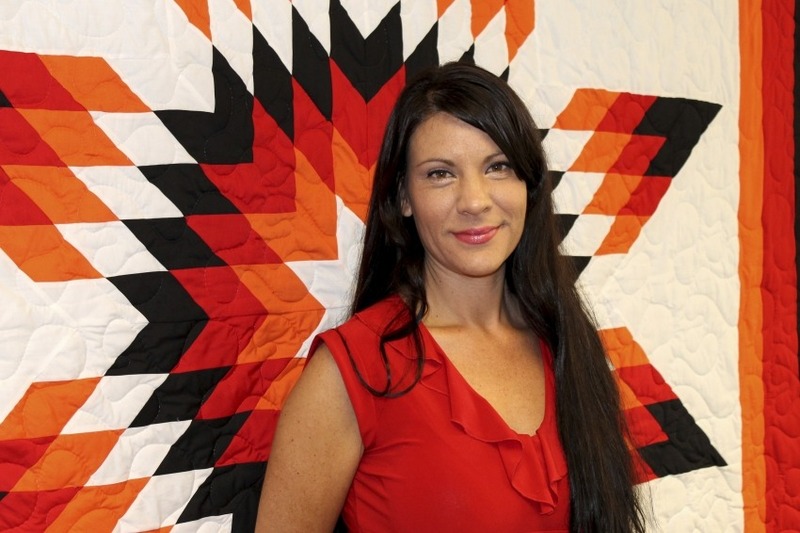 Vanessa Roanhorse, Diné, is committed to raising the voice of minority businesses and localizing economic development. Two-and-a-half years ago, she launched Roanhorse Consulting, LLC, based in Albuquerque, New Mexico. The company encourages economic empowerment from within Native America, and is committed to growing more indigenous and underrepresented founders. “Together we will launch, grow and create solutions for our local challenges,” she states. Roanhorse is also a pivotal leader among a cohort of venerable women entrepreneurs who created Native Women Lead and gave birth to the Native Women’s Business Summit. The groundbreaking summit and grassroots collective aims to revolutionize systems and inspire innovation by investing in Native women in business. Edgar Villanueva recently released his new book Decolonizing Wealth: Indigenous Wisdom to Heal Divides and Restore Balance, a revolutionary meditation on the deleterious impacts of colonization, as well as an unflinching examination of what it means to “help” indigenous people and other communities of color that are still struggling under the very system that oppressed them. Native Business™ champions those who dare to rise. It tells the inspiring stories of startups and emerging entrepreneurs. It takes a close look at the disruptors—people shaking up their industry, flipping the script, and challenging established norms. “Native Business drives the conversation. Thought-provoking interviews showcase passion, deliberation, and leadership by businesses across Indian Country,” said publishers Gary and Carmen Davis. Founded by a husband-wife entrepreneurial team, Native Business builds bridges between tribes and outside opportunity. “Creating partnerships and expanding investor relations is imperative to growing the economy of Indian Country,” Gary said. Entrepreneur recently published an interview with Gary and Carmen Davis about their latest venture. The article offers a snapshot of economic development across Indian Country, while honing in on the many ways that their multimedia/networking company will drive conversation about expanding business and entrepreneurship.